Fabric: 32ct Vintage Basket weave by Lakeside Linens. General Instructions: All stitching is done in 1 strand of silk. 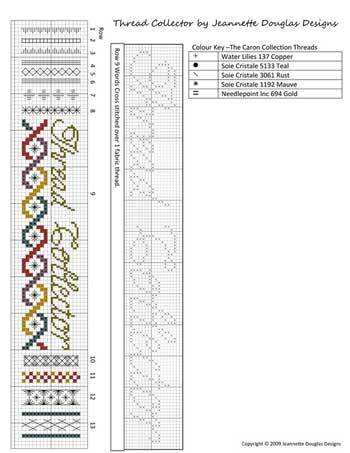 The stitch diagrams are over 1 fabric thread, and the main graph is over 2 fabric threads. 1)	Satin stitch with WL 137 copper. 3)	Satin stitch with WL 137 copper. 8)	Smryna stitch in WL 137 Copper. 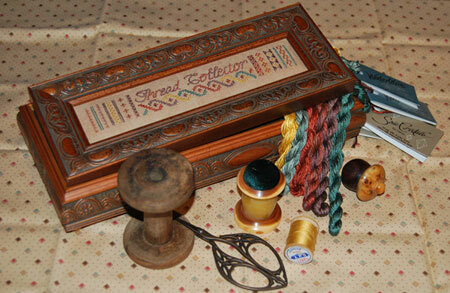 9)	Cross stitch over 1 fabric thread the words ‘Thread Collector’. 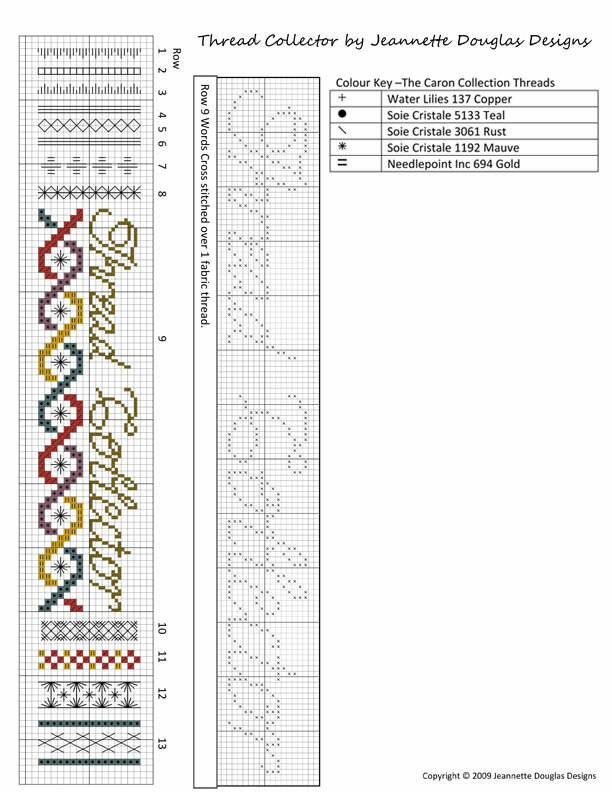 Cross stitch bottom row below words as designated and then place a star eyelet in the center with WL 137 Copper as shown in stitch diagram. 10)	Rice stitch with WL 137 Copper. 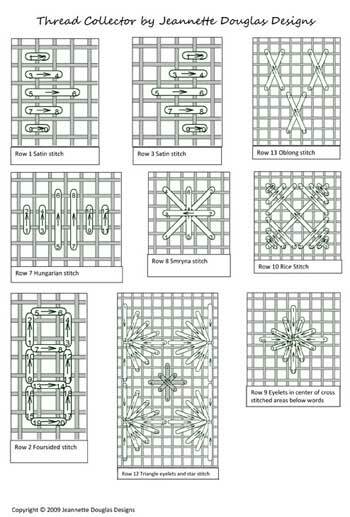 11)	Cross stitch as designated. 13)	Cross stitch as shown and in the middle add oblong sitches in WL 137 Copper. Click on each diagram/chart below for a full size image.